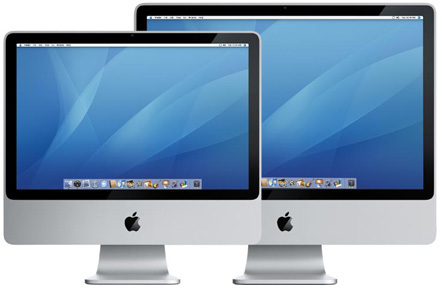 Rumor: Multitouch iOS 4-based iMacs Coming this Summer? As of yet there isn’t much proof surrounding this rumor, but a source from the LOOPRumors community seems to be convinced that Apple is getting ready to introduce multitouch iMacs running a hybrid version of iOS 4. The rumor states that Apple will introduce the device within the next 60-days, however this isn’t the first time we have heard this timeframe. Digitimes reported in January that Apple was working on a 22-inch touchscreen iMac, and Apple soon after released the device, although without touch capabilities. They also claimed a 9.7 inch tablet would be introduced in January, which is obviously the iPad. So its not like there is no reason to believe these new rumors may be true. There has also been lots of speculation recently from industry insiders point towards Apple’s plans to bring an iOS 4 like experience to the Mac. One Response to Rumor: Multitouch iOS 4-based iMacs Coming this Summer?